Beyond posting pictures and commenting on other posts, Instagram also offers users the ability to post stories and even videos. An Instagram Story, similar to the app Snapchat, allows users to post content to their page that automatically disappears after 24 hours. The material, photos or videos, is displayed in a slideshow format which is seen by other followers in chronological order. These features are tools within the Instagram app that you can use to actually increase the number of followers your account has. When it comes to business accounts, the more followers the better. When looking at the numbers, it only took six months since the release of the story feature for it to have 150+ million daily users. Additionally, one third of the most viewed stories on Instagram are posted by business accounts and one in five stories receives a direct message from a viewer. So how do I make a story? To create your own story all you have to do is swipe right on the home screen, or tap the camera icon in the top left corner of the screen. 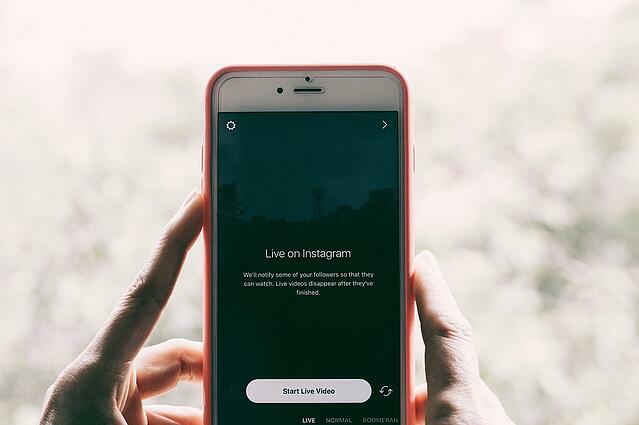 This accesses Instagram’s Story camera and from here you are given the option to create a live video, a normal story, boomerang, and hands-free, along with basic camera functions. Simple choose the option you wish to use and take a video or picture to post on your story. Before the content is posted you are able to edit it, similar to posting regular content on your account. That’s it! Well, in the same fashion as keeping up with your regular posts, it is in your best interest to keep up with stories as well. Instagram stories offer a great way to push content onto your viewers more often without losing the prominent theme of your account or posting too much. In other words, say you have been posting about some seasonal products that you released, but you want to keep viewers informed without having to post extra content onto your main page. Simply use stories and videos to keep your viewers engaged! Since Instagram stories and live videos can be seen by anyone if your account is not private, it is important to post eye-catching material. Using your story to market promotions and limited offers is a great way to draw in the attention of potential customers. When posting anything to your story, however, be sure to have your content look professional. No different from posting regular pictures and videos to your account, it is important to put effort into your pictures and videos. What message are you trying to send? Who is your target audience? What lighting and filters look best? Does my story represent my business well? These kinds of questions should be addressed before ultimately posting any content. Instagram stories allow you to edit the picture or video you wish to post beforehand, and give you the same tools as editing a regular post. Make use of these tools to create professional and pleasing stories for your followers. Another popular theme when using Instagram stories is giving your viewers an inside look at your business. This could be a hint at what it is like working in your industry, or some behind the scenes of production and manufacturing, or just a look at the headquarters office. By keeping the exclusive behind the scenes material strictly to your stories, you give viewers a motive to stay engaged. By providing interesting material in you stories that are not always available on your main page, viewers will stay engaged with all of your posts. By keeping up to date with your stories and live videos, you will not only draw the attention of new followers and potential customers, but you will also engage more with your current followers! Social Network Elite helps hundreds of companoies, brands, and individuals reach a larger audience on Instagram. Click here to learn more or start a free trial and start growing 150+ real followers a day!